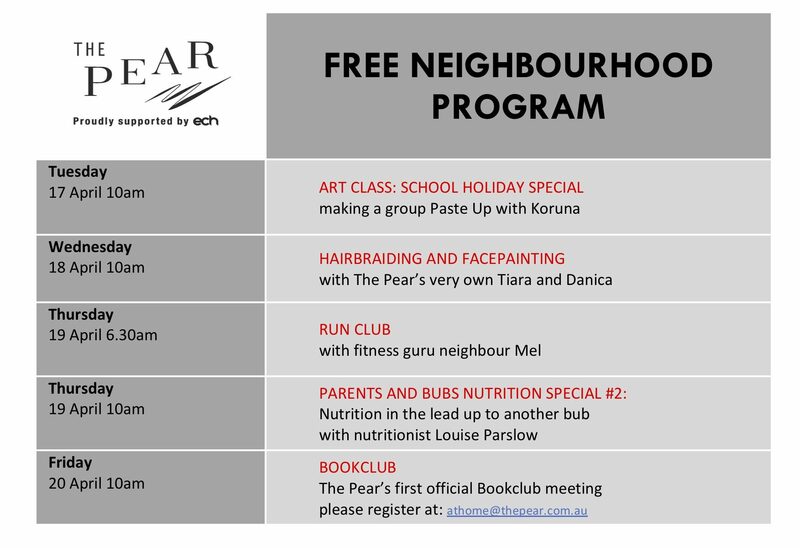 This Tuesday we have a special school holiday edition of our weekly Art Class with Koruna. Bring the kids and work on a group paste up. On Wednesday, more school holiday specials; Hair braiding and face painting with Tiara and Danica. Thursday, like every Thursday, is run club day. Join us at 6:30 am for an early morning run couched by fitness specialist Mel. Also on Thursday it’s the Parents and Bubs Nutrition Special – part 2. Nutritionist Louise Parslow. Part 2 is all about getting your nutrition right to get ready for another baby. 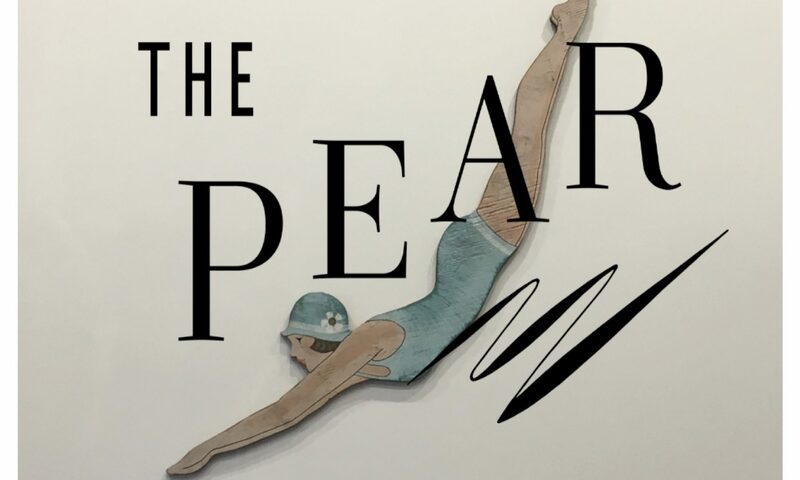 Friday we finish a big week with the first gathering of The Pear Book Club. If you want to join the book club, please send an email to athome@thepear.com.au. For all other activities, just rock up at 10 am at The Pear (Run Club at 6:30 am) and participation is free.